The History Channel is working on a major 10 part mini series telling the major parts of the story in film. It will premiere beginning March 3rd. At some point I am sure I will watch it, but I am bit concerned already. The series is being produced Roma Downey and Mark Burnett who brought us programs like "Touched By An Angel," "The Voice," "Survivor," and "Celebrity Apprentice." My fear is that at some point in the film an angel with a Scottish accent will attempt to sing but will be fired by Donald Trump and thrown off the Island. Hopefully it is better than the last attempt to make a film about the Bible. 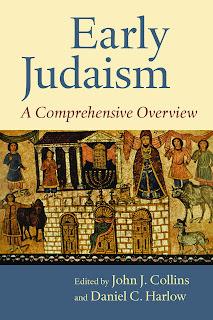 In November Eerdmans released a new book by John J. Collins and Daniel C. Harlow entitled Early Judaism a Comprehensive Overview (Eerdmans, 2012). 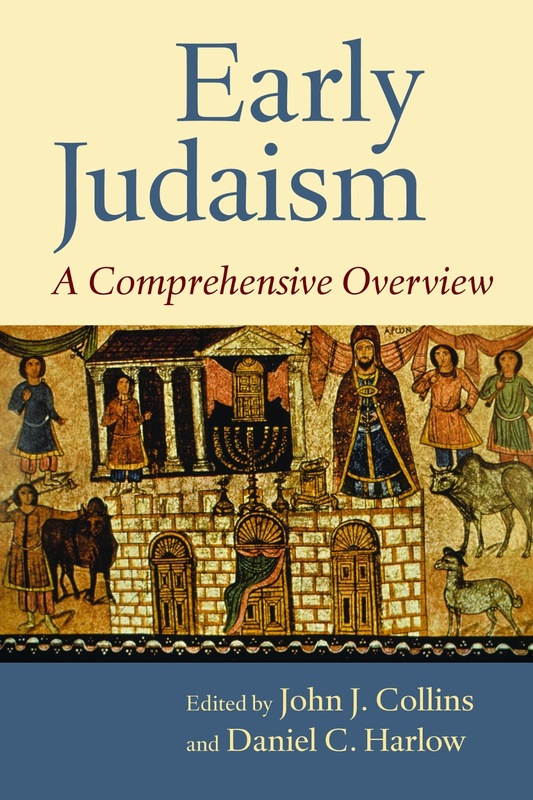 Culled from The Eerdmans Dictionary of Early Judaism, a monumental, groundbreaking reference work published in late 2010, Early Judaism: A Comprehensive Overview contains fifteen first-rate essays from a diverse group of internationally renowned scholars. This volume provides the most comprehensive and authoritative overview available of Judaism in the Hellenistic and early Roman periods. Today the Eerdmans blog released a video interview with Collins and Harlow that took place at SBL in Chicago. This looks like a good resource. I already have the Eerdmans Dictionary of Early Judaism (2010), I will need to add this to my collection. Here is the video interview. Many people don't realize that the Samaritan community we read about in the New Testament is still in existence. 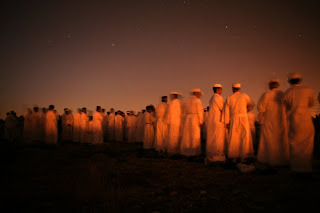 To this day they live on Mount Gerizim in the West Bank. I wrote a post last April about the time Lori and I visited there to attend the Samaritan Passover. The Samaritans are a people who keep to themselves. So much so that there is a high-rate of birth defects among them. But over the past few decades they have been opening up to the outside world. One new way that they are opening up to the world is by allowing the men in the community to marry women from the Ukraine. In an interesting article Aljazeera explains how the need to strengthen the community and prevent birth defects has caused the Samaritan community to embrace love and marriage in a very modern way. Read the article here. The below video provides a good overview of the community and the challenges it faces. Over the last few months I have become interested in the Theology of Work. It began when I was working on my commentary on 1 Thessalonians 4:9-12 and posted a blog on A Theology of Work. In November I had an opportunity to visit Seattle and meet with a group twelve business areas from that city. We spent two days looking at Paul's letters to the Thessalonians and how those letters are read and applied in the business world. I suspect my interest in the topic has grown from my own life. I come from a working class family with a father who owned a construction company. Trying to run a good business and be a good Christian was one of his desires. But there is not a lot out there to help business people. Actually, there is, but it is often done without the insights of theologians and biblical scholars who can work with those in the business world and learn from one another. There is a need for business people and theologians to collaborate, learn from one another and serve the church together. That is why I am happy to see an article by Chris Armstrong in the upcoming Intrust Magazine. Chris is professor Church History at Bethel Seminary and posts on the Blog Grateful for the Dead. In his article Chris makes some good points about the lack of attention that the church often gives to "work" and he also focuses on how seminaries could do a better job preparing pastors to understand and minster to those who work outside the walls of the church. Here is a bit of what Chris has to say. “The average person will work 100,000 hours in their lifetime,” says Jeff Van Duzer, dean of the Seattle Pacific University School of Business and Economics. “This seems like an enormous waste if it’s spent doing fundamentally meaningless things whose only value is a paycheck.” To be sure, many Christians develop, at some point in their lives, a sense that daily work does indeed matter to God. And eventually, some come to understand that their own work complements God’s work — the six days of creation, the redemptive love of Jesus, the ushering in of new heavens and new earth. God sustains the world, but God’s creatures do their part in caring for it as well. But does the church have anything more profound to say about the value of work? And how might theological schools prepare their graduates to help ordinary Christians do their work in light of their faith? Those are questions worth pondering. As centers of theological reflection, theological schools today might consider their own responsibility to cultivate in future clergy a robust theological understanding of work. 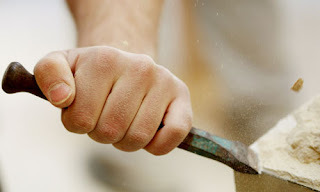 To begin at the beginning: What does God intend for human work and its economic organization? The simplest answer, which reappears in many forms among the lay people who write about the intersection of faith and work, is that God created work and uses it to benefit all people. You can read the rest of the article here. I look forward to reading part 2. 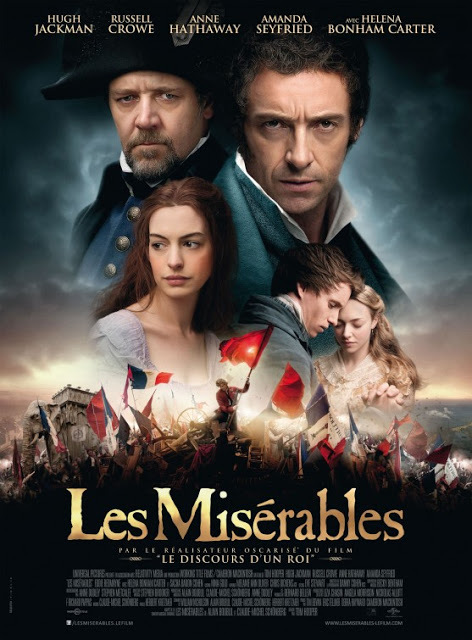 The past weekend Lori and I were able to see Les Miserables. My response is the same of so many others. Wow! I couldn’t help but be drawn in by the story and the songs and yes my face was wet with tears as I listened to Fantine sing of the dream she had dreamed that life had made into her hell. This is not my first acquaintance with Victor Hugo’s story. I first met Jean Valjean not on a stage or a screen, but in the pages of a book. It was on the required reading list for my high school English class and, as was my style then, I refused to do the reading and “faked” my way through the discussion. But something strange happened one day. As I listened to the class discussion I became captivated with the story. I began reading the book and fell in love with a story that is not only powerful, but speaks to me in a different way each time I encounter it. Ever since then the story has been with me. We have seen it on stage, listened to the sound track and watched the movie. It is truly a classic. And as so many have noticed it is a story packed with theology. I have read the reviewers who have criticized the “overly religious” aspects of the story. My only question to them is: have you read the book? Hugo had a lot to say about the politics of 19th century France, but he also had a lot to say about God and the Church. One can’t have the story of Jean Valjean without the other. As I watched the film what caught my attention this time was the struggle between being forgiven and escaping the past. Jean Valjean steals the bishop’s silver and instead of being placed back in jail, he is given not only forgiveness, but a pair of silver candle sticks. Those candle sticks come to represent that moment in his life when he knew without a doubt that he was forgiven and that he could be different. And while the rest of the silver disappears from the story, it is the two candle sticks that remain. They are a constant reminder to him of that day when he was forgiven. But at the same time the story highlights how it is sometimes impossible to escape our past, even after we have been forgiven. Ever present hunting him down is the persistent Javert. The former prison guard turned detective is convinced that people can’t change and that it is his duty from God to make sure that Jean Valjean never be allowed to forget nor escape from his past. One irony of the story that the musical mentions, but doesn’t unpack is the story of Javert’s past. Like Jean Valjean, his life too is connected to a prison. Not the one in which he worked, but the one in which he was born. In the book we learn that his mother was a Gypsy fortune-teller, and his father a galley slave. Javert, so repulsed by his own past, decided to become part of the system in order to help control, if not wipe out, the kind of people who gave him life. Javert, like Jean Valjean, wants to escape his past and he thinks that by hunting Valjean he is doing God’s work and will relieve his own suffering. The story of both men ends the same. Both die at the end. Javert dies confused and unsure if he can accept the kind of forgiveness God offers. Jean Valjean dies with his candlesticks in view, the mementos of the day he knew he was forgiven. And with death his doubts, his fears and even his past finally depart and he is finally free. Some things, it seems, only come with death. I suppose it is the same for many of us. There are parts of our lives, deeds we committed, things we said that we wish we had not. We have been forgiven, and yet we cannot forget the past. Like the candlesticks, our knowledge of forgiveness is there, but so is the haunting memory of our past. And there are those around us who don’t want us to forget the past, who don’t think we can or did change and that God should not forgive us. And like the story of Valjean and Javert, the only way we will get final and complete relief from our past is in death. 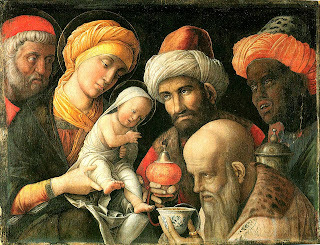 The Magi and the Bethlehem Star: Made in China? Yesterday was Epiphany, the day that Christians celebrate the arrival of the magi to Bethlehem. The magi, or wise men, feature in most nativity plays. But few realize that they only appears in Matthew's gospel and that we have no clue how many of them there were (traditionally three based on the three gifts). In reality, the New Testament tells us very little about these individuals. A recently studied document written in Syriac, however, adds a number of additions to the story. For instance, the magi are from China, there were twelve magi, not three, and the star of Bethlehem was actually the divine light of Jesus. Brent Landau of Oklahoma University translated the 8th century document and wrote the book Revelation of the Magi: The Lost Tale of the Wise Men's Journey to Bethlehem (HarperOne, 2010). Below is a short interview with Brent about the story. 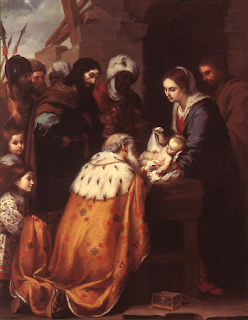 Today is the Feast of the Epiphany. It is the celebration of the incarnation of the son of God. It is also the day we remember the visitation of the Magi to the infant Jesus. 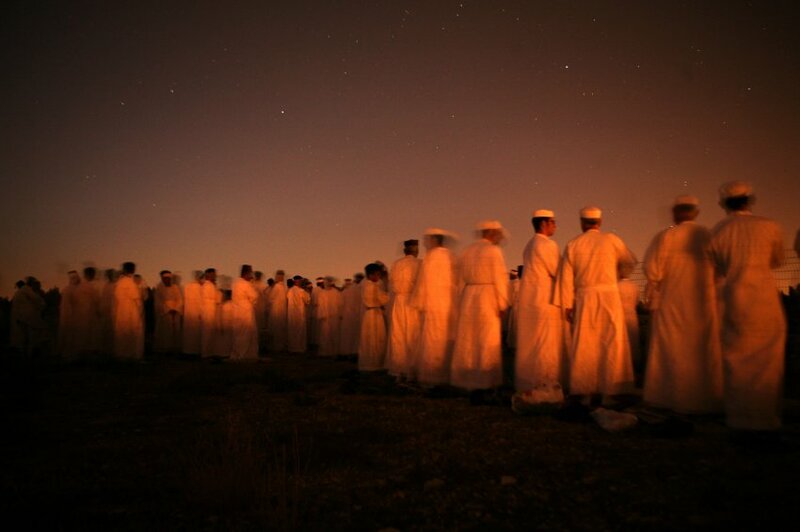 Epiphany is celebrated with a variety of customs around the world. In some cultures, the greenery and nativity scenes put up at Christmas are taken down at Epiphany. In other cultures these remain up until February 2. In countries historically shaped by Western Christianity these customs often involve gift giving, "king cakes" and a celebratory close to the Christmas season. In traditionally Orthodox nations, these celebrations typically center around water, baptismal rites and house blessings. Wikipedia has an informative entry on the holiday if you want to learn more.